Thank you for your contact. I’m happy for you to look through this Rita discussion page and we can then talk more specifically about how we can work together. I said on my home page that I would give you a bit of an idea of who I am and what I do. I used the Herbalife products, and became a distributor of them, more than 10 years ago. Like got busy, I’ve been overseas, seen lots of things, crossed the Andes mountains by horseback, worked with wild river game fishing on exciting rivers n Argentina. Then I had my son, Rey, and it was time to come home and settle down in Jakarta. When I was first involved with Herbalife there was a batch of leaders in Jakarta who showed every sign of going on and becoming very successful. They had a vision and were working towards it. As I said, I went my own way and then I came back here 10 years later and looked again at these guys. Frankly, I always knew that the business was serious but I was shocked at what I saw. People I once attended product trainings with are now multi millionaires, they travel the world to events in luxury locations and work with their distributors and their friends in lots of countries. They work when they want to work and with the people they choose to work with. I knew they were going to do well but I did not realize what freedom they were going to have in their life. Frankly I missed the boat. When I was using Herbalife products originally I had great results. 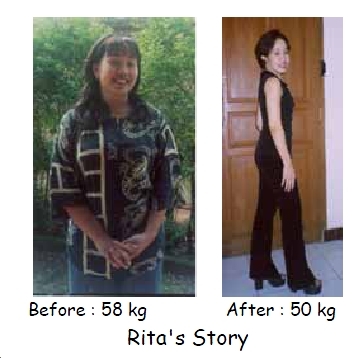 Here is my story: Rita’s Story. Now I have realized that while the travel, and my precious boy, Rey, are worthwhile and I would not change anything, I did not take hold of the opportunity with Herbalife. There is growth and excitement in the company now all over the world and that is just beginning to take hold in Indonesia. Herbalife is now the largest weight loss company in the world. Twice the size of it’s nearest competitor and pulling away from them. They were looking at One Billion US$ when I was involved and now they have their US$5 Billion turnover organized and are laying plans for US$10 Billion by 2020. In addition, my years away from the product have had an effect and my energy levels were low, I had weight to lose again myself, I just needed to be a product of the product for my own personal use. Most of us can get real personal benefit from using Herbalife products ourselves. It was time to do something and I talked with my own international sponsor, Warren Tattersall, who had supported me before and who is now working with people all over the world. I asked him if it was time to build a leadership team of our own in Indonesia and if he would work with me to put a group together. Warren said yes and that is why we are here now. Let’s look a little closer at what we have to offer each other and then we can move forward from there. This Rita Discussion page is designed to give you an overview of things and then we will be happy to answer the more 'In-Depth' questions you may have. I'd like to 'chat' a little and talk about what we do, what I am personally looking for, and what that would mean for you if we decide to work this project together. As I have said in our previous contact, we are a multinational Health and Nutrition company. The Manufacturer of our products, Herbalife International, trades in over 70 countries, has a multi Billion US$ turnover.Herbalife established in Indonesia in 1998. We deal in a range of the highest quality health and nutrition products. Our specialties are weight control, improving health, skincare and improving sporting results. In short, we are the largest direct sale Health and Nutrition company in the world! I expect that with such a market presence you will have heard of our company, what you may not have heard is that we are now fully established now in Indonesia and showing serious growth in the market. Coming off the back of several years of strong growth we are looking for Indonesia to be a key step in our plans to develop Herbalife to see annual sales reaching US$10 Billion a year. To do this we are establishing new methods of operation within the company in Indonesia and we are looking for new leadership. This is a Mega-Trend industry. - The most common reason for people visiting a doctor is due to lack of energy. We Have The Answer For This. - Globally obesity is an issue that is overtaking the healthcare systems. We are the number one weight control company in the world. - Diet related illness, eg diabetes, even diabetes in children, is a chronic problem world wide. We have answers to help with these problems. Herbalife has been in Indonesia, as I said, for over 10 years. We have established distribution systems across all areas and have the ‘back office, the logistics, part of our business well in hand. That makes us a well established company with a good foundation of business.At the same time we are seeing massive growth in countries like Taiwan and Korea and that is taking hold in our region. We are looking towards 10 years of growth in Indonesia. Growth in the cities.Growth in rural areas. We are looking for good people to work with us in all areas.Basically, we need people like you working with us. The time is right to get on board with the market leader in one of the largest and fastest growing the quickest growing industry what will become one of the great markets for Herbalife – Indonesia. Herbalife products are working effectively in different cultures, in different countries, all over the world. Here are some stories of people who have been using our products. This brings us to you. What are we looking for and what is here for you? I'm looking for a little group of people to work with to build distribution of our products in Jakarta. In each geographic area I am looking for one individual to work with on a personal basis. I am happy to support and mentor those key people and guide them in building a Herbalife Distributorship around them. Our goal is to establish a business office in each area with a team of distributors working directly with both myself and with the team leader. The business model we work with is that people working become Independent Distributors. - That allows you to set your own schedule. - That allows you to choose your own hours. - That allows you to control your income potential. What Does a Distributor Do in Our Company? Distributors create a personal retail base of customers to create immediate cash flow. Some distributors work with just a few customers so the distributors can build their skills and will develop case studies around themselves of people who have successfully used our products and who recommend them to others. Alternatively it can be a big base of customers so there is good retail profit being generated. With Herbalife a career level income can be generated from just servicing a strong customer base. Strong retail distributors keep a customer base of 20 or more customers. This is a part time activity, would normally take about 10 hours a week to service, and would be expected to generate an income in the region of 9 million Rupiahs a month. Some people working with us use our business to generate a part time income to improve their lifestyle without making any major changes. That is fine. Others people are looking for a way to build something much more rewarding in income, in personal achievement and recognition, in independence. Once these distributors have both their hands and their heads around our business, we work together to build a team of distributors around them. This can be locally, nationally or in any of the 70+ countries we work in. Once these distributors have their hands around the business, have some understanding of what they are doing, we work together to build a team of distributors to work with them. This can be locally, nationally or in any of the 70 countries we work in. 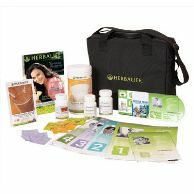 Immediately you become a Herbalife distributor you have a 25% discount off the retail price of any products you by. The first leadership position is Supervisor which allows the earning of up to 50% retail profit on personal sales, wholesale profit, and royalty income. Earning potential is limited only by your skills and your activity. Top distributors in Indonesia are earning over US$20,000 per month. You see, we are a direct sales company. People who work with us can make good income from just retailing products. At the same time we are paid to support and train a distributor team if we chose to and we can build substantial residual income. We are putting together our leadership team in Jakarta to build business. As we do this we have direct international support from my friend and personal mentor in this business, Warren Tattersall. He is based in Australia and so we work together with my local support and his international support. This allows us to work locally and to expand what we do globally. Warren began working with Herbalife in the little country town he grew up in. It has only 8,000 people, very low average income and he started working it around my photography business. I mention this as it is important to know a bit about the team who is in place to support your efforts with us. Check this little video that Herbalife put together telling Warren’s story. While you are watching you will see that Warren likes to travel. I’d like you to think about what you are wanting to do in your life as you watch this. Warren Tattersall and the freedom to travel. - Independence to set your own schedule, hours and income. – a chance to spend time with family or on the things you really want to do yourself. - An additional cash steam beside your existing activity. - Money for lifestyle and money to invest for financial freedom. - A way to create independent income for retirement so you can leave the workplace. – Residual income – stop full time work and keep your dignity. - A chance for international travel and to earn international income. Everyone who becomes a distributor with Herbalife need to have someone sponsor them. They then register to become a distributor with the Distributor Application that is available through an International Business Pack (IBP). Once you are registered though, you are not only able to do business in not just Jakarta, but all of Indonesia, and your distributorship will also be active in almost all of the 70+ countries we trade in around the world. The purpose of this Rita Discussion page is to give you an overview of our business. Hopefully there is enough information here for you to know if we should be talking on a one on one basis. Give me some feedback on the form below and I will link you to our Due Diligence pack with likes to check out about our products, the science (clinical trials etc), and the nitty gritty of our business model and market plan. If you ‘get’ all this and want to get started immediately just tell me and I will telephone so we can discuss how to move forward from here. Use the Rita discussion page information form below to organize to get moving with us or to send your questions and comments. I appreciate your interest in our business and am happy to move forward with our discussions. How many Rupiah would you like to earn per month? More Independence In Time and Income. The Chance to beging to Work From Home Around my Family. When you have investigated our company and products it may be appropriate for us to speak together personally on the TELEPHONE? I Understand All This and Want to Get Registered as a Distributor Immediately! I have been Looking For Something Like This and am very Intersted. Will you please give a short summary of your strengths and why you think you would be suited to working with a company like ours? ==============================================================================SITE DISCLAIMER: This Rita Discussion information is not presented by a medical practitioner and is for educational and informational purposes only. The content of this Rita Discussion page is not intended to be a substitute for professional medical advice, diagnosis, or treatment. Always seek the advice of your physician or other qualified health provider with any questions you may have regarding a medical condition. Never disregard professional medical advice or delay in seeking it because of something you have read.The resources on this Rita Discussion site are not intended to be a substitute for professional advice. While all attempts have been made to verify all information provided in this Rita Discussion publication, neither the author nor the publisher assumes any responsibility for errors, omissions or contrary interpretation of the web site subject matter herein. The site contents are solely the opinion of the authors and should not be considered as a form of advice, direction and/or recommendation of any kind. If expert advice or counseling is needed, services of a competent professional should be sought. The author and the Publisher of this Rita Discussion page assume no responsibility or liability and specifically disclaim any warranty, express or implied for any products or services mentioned, or any techniques or practices described. The purchaser or reader of this Rita Discussion publication assumes responsibility for the use of these materials and information. Neither the author nor the Publisher of this Rita Discussion page assumes any responsibility or liability whatsoever on the behalf of any purchaser or reader of these Rita Discussion materials. There is no guarantee of validity of accuracy of this Rita Discussion information. Any perceived slight of specific people or organizations is unintentional. This website and its creators are not responsible for the Rita Discussion content of any sites linked to. Since natural and/or dietary supplements are not FDA approved they must be accompanied by a two-part disclaimer on the product label: that the statement has not been evaluated by FDA and that the product is not intended to "diagnose, treat, cure or prevent any disease."